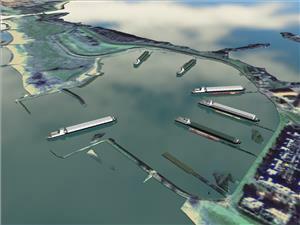 BMT ARGOSS a subsidiary of BMT Group Ltd., has developed a specialized version of its REMBRANDT simulation and training tool for use in scenarios involving inland waterways. 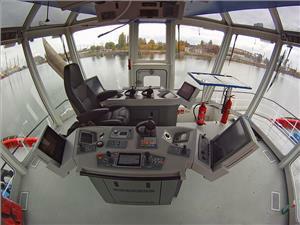 RC and Alphatron Marine have delivered new tugboat consoles for the new generation of Rotortugs. Offering full control from a sitting position and all-round visibility through full height windows, the Robert Allan designed ART 80-32 Hybrid tugs RT Evolution and RT Discovery have been fitted with the AlphaBridge tugboat console concept of tomorrow, a design study, performed by JRC/Alphatron Marine, together with tugboat operators from around the world.